Named after a former Maryland governor, Odenton is located near Fort Meade in central Maryland. Baltimore, Annapolis, and Washington, D.C. are all within 25 miles, making Odenton real estate ideal for commuters to those cities. The town’s Piney Orchard community continually attracts new residents and Odenton real estate investors to the area. Piney Orchard boasts a huge community center with an indoor pool, a lake with waterfalls, and an NHL-regulation ice rink. 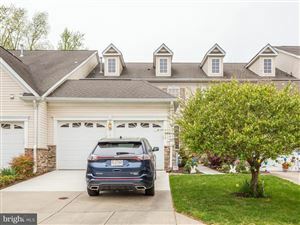 Odenton real estate is especially popular among families, as the town is home to three elementary schools and one middle school. And its proximity to NSA Headquarters and Fort Meade only add to the appeal of Odenton real estate. Whats your Odenton home worth?